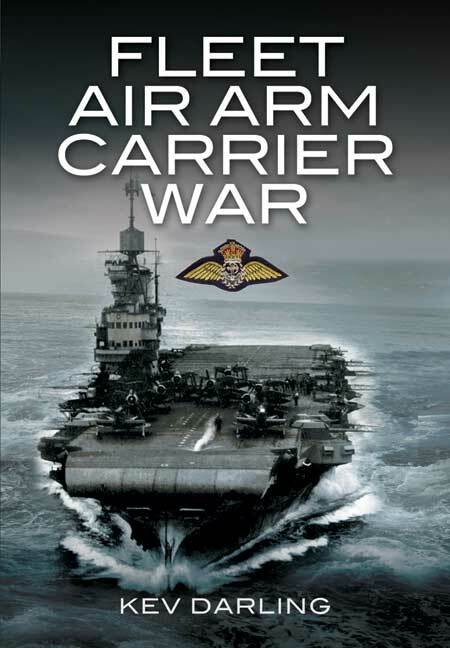 You'll be £25.00 closer to your next £10.00 credit when you purchase Fleet Air Arm Carrier War. What's this? This is the story of British naval flying from aircraft carriers, from its conception in World War One to the present day. It includes the types of aircraft and the men who flew them, the carriers and the evolution of their designs, the theatres of war in which they served and their notable achievements and tragedies. It traces navy flying from the early days of the biplane, through the rapid developments during World War Two to the post-war introduction of jet-powered flight. The British inventions of the angled flight deck and later vertical landing jets revolutionised sea warfare and allowed the carrier to play a vital part in many recent land wars when naval aircraft flew in support of Allied land forces. Although the British carriers have always been smaller than their American counterparts, the Royal Navy and its aircraft have always been in the van of the development of ships and aircraft. This is the proud history of British Naval flying and ships such as HMS Eagle, HMS Hermes, HMS Glorious, HMS Ark Royal and many more. There have been many books on American naval aviation but remarkably few about the British who, after all, invented it. This extensive, well researched and very well illustrated book puts things right. A very good historical overview of an important naval activity. Kev Darling has written many aviation books such as P-51 Mustang, Warbirdtech 28: English Electric Lightning and Merlin-powered Spitfires. He is one of Britain's most highly respected aviation authors.